Double Dee and Steinski speak! 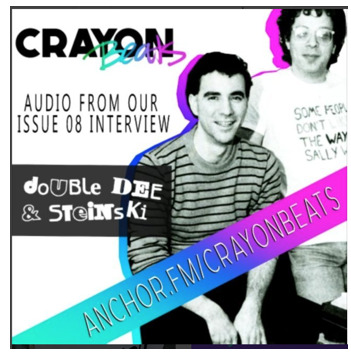 Here we answer questions asked by Tiffny and Tiffany of CrayonBeats Magazine in their recent Issue 8. Here's the audio portion of the interview which we hope you enjoy. Be sure to check out the fine version in print as well! You can learn more about their magazine here where the interview originally appeared.